Want a Feminist Art/Activism Procession in Your Town? San Jose, California was the most recent city to host a feminist procession that has been traveling the globe for the past several years, and could be coming to your town soon. Suffragette City, created by artist Lara Schnitger, is “a participatory procession and protest” and is both free and open to the public. The ritual allows participants to “celebrate female empowerment in a culture of patriarchy,” according to a press release announcing the procession’s occurrence in San Jose. The procession in San Jose started at the Museum of Art, and involved participants wearing costumes and chanting while carrying portable sculptures and banners. 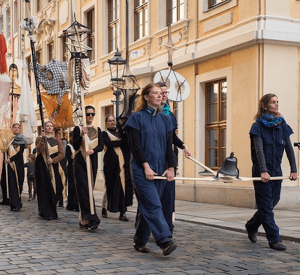 Since 2015, performances of Schnitger’s procession have taken place in New York, Basel, Dresden, Los Angeles, and Berlin, as well as during the 2018 Women’s March in Washington, DC. Suffragette City blends references to feminism, fashion, and sexuality as well as the use of sculpture, space, and costume in the procession. 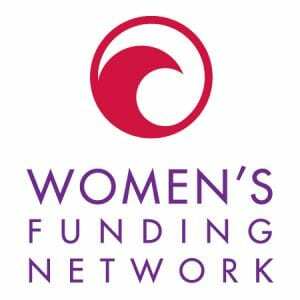 Funders who got together to bring the procession to San Jose make a good case study for how to collaborate for an event like this since the project involved receiving support from corporate, government, and private donor sources. The San Jose Museum of Art provided support for this project, and they received funding from the Packard Foundation and the Richard A. Karp Charitable Foundation, as well as individual donors Yvonne and Mike Nevens. Suffragette City is part of a larger exhibition at the San Jose Museum of Art called Other Walks, Other Lines, that was sponsored by corporate funder Applied Materials Foundation as well as individual donors Melanie and Peter Cross. A Cultural Affairs grant from the city of San Jose also added to the funding, and equipment support was provided in-kind by local business BrightSign. Previous Suffragette City iterations from different locations can be viewed online here and here.